In a recent interview, I heard motivational speaker Jon Acuff tell the interviewer that he sincerely hopes that nobody looks for their dream job as their first “real” job. Instead, he explained, that first job is there primarily to teach someone how to have a job. How to deal with people. How to handle pressure. How to solve problems. This entry was posted in General and tagged Artificial Intelligence, HR Skills, Skills gap on April 16, 2018 by Ben. Recently on LinkedIn I saw someone asking how to learn HR. Specifically he was trying to learn compensation when he didn’t have a background/foundation in the topic. The people in the comments made some good suggestions, but many of them involved expensive certifications, workshops, and other similar costly avenues. Coming from a background of smaller organizations with limited budgets (and understanding the personal budget of a new HR pro), I know that most of those suggestions are not possible for a significant number of people. Today we’ll look at how to learn HR from the ground up in some of the most practical, and inexpensive, ways possible. Whether you’re just thinking about getting into HR, you’re just starting out, or you have some experience behind you and you want to grow your skill set, you’re going to walk away from this article with some good ideas on how to do that. In 2009 when I started this blog, I was thinking a lot about recent HR grads and the world of HR education. Let’s revisit, because it sets up the rest of this article nicely as far as a true need for HR-related information. Maybe it’s time for someone to offer something revolutionary in terms of HR education? Here’s a novel idea. Why don’t we take some measure (not all, mind you) of education from the HR blogs that already exist? There are dozens (hundreds?) of wonderful people pouring their hearts and efforts into maintaining a blog that describes the ins and outs of human resources. What if schools had some sort of HR education curriculum that required—or at the very least suggested—its students study from those actively participating in the field? How revolutionary would that be? I only found out about the prevalence of the blogosphere when I was nearly finished with college. And that was only through my own personal research on topics that are unrelated to human resources. I stumbled across a few blogs and loved the community-like atmosphere and the availability of information. I have long believed that to be great in HR you need to go beyond the knowledge that formal education offers. That’s only about 20% of what is necessary to be great in this profession. The other 80% is learned afterward in various ways. What is the average day like for someone working in human resources? What sort of training or education did you have that prepared you for this job? What is the biggest challenge you regularly face? I received dozens of responses from all of those hours of work. I actually created a few research papers in college based on that information, but more than that, it helped me get a glimpse into the world of HR that my classmates did not. This concept is going to come into play again in just a moment, but I wanted to introduce it here first. The purpose is to gather qualitative data about what to focus on and that will guide future learning. Without it the learning is haphazard and without structure. 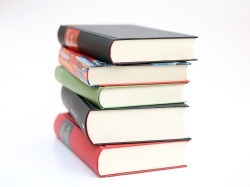 As you know I am a firm believer in using books for learning (the latest in the series on that is about making a leadership reading list), but I’m staying away from that medium for purposes of this post because they are not free and because I want to focus on nontraditional ways to learn this information. Surprised nobody here has mentioned Payscale.com for free research, white papers, etc. Let’s analyze that, shall we? First, I mention a vendor website. 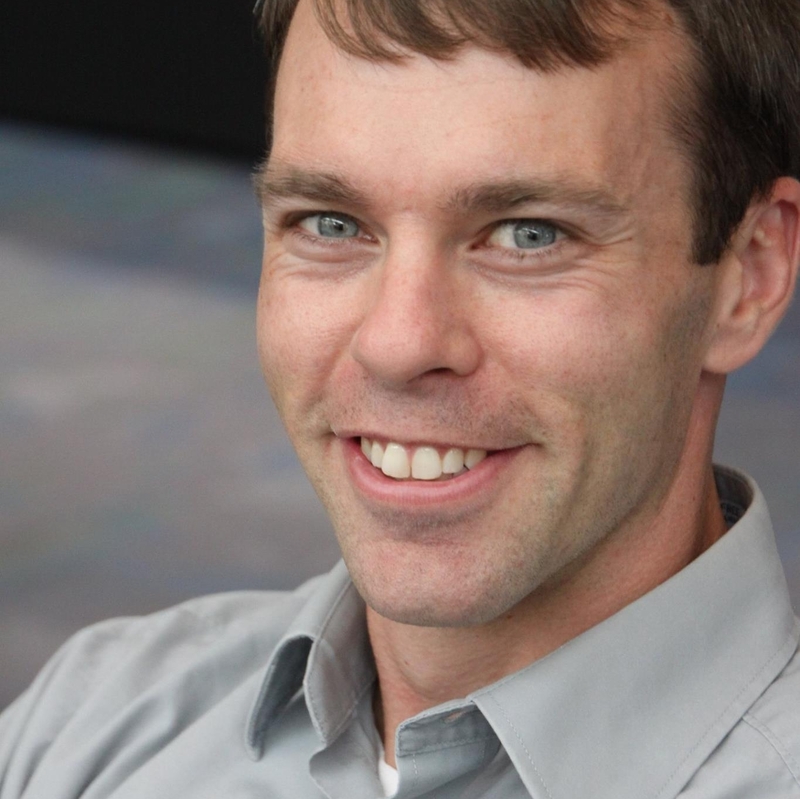 Payscale sells compensation data and tools to businesses. So why would I recommend them? Because they have a wealth of free resources, white papers, webinars, and other information on their site. I could spend a day just reading and listening to the content there and have the equivalent of a basic college level compensation course work of information in my brain. And it cost me nothing but a little time. As far as how to learn HR, that’s not a bad way to go. And the fun thing is that this is just one vendor. There are hundreds, and many of the larger ones provide these same free tools to help us. Not sure where to go? Here are a few suggestions just to get you thinking. I spent half an hour researching these for you guys and this is just scratching the surface! Now, obviously when these types of companies are sharing these resources their ultimate goal is to use them as marketing to drive you to their products, but you’re certainly not obligated to purchase anything. These resources are free, and you should take advantage of them. I’ve written fairly extensively on getting into HR, breaking into the profession, etc. On the job training still one of the best ways to explore experiential learning, and if you can lock in a job, you get paid while you’re learning. You might assume that you have to have some of this education in order to get a job in HR, but it’s certainly not the case. Plenty of people move into an HR career without that sort of education or knowledge. One thing that is worth noting here: your job will not cover all types of things you can learn in HR. That is why it’s important for you to keep up the momentum in the other tactics listed here so your learning does not suffer and you don’t get stuck in that job forever. If you keep learning and growing, you’ll be ready for the next step on the career ladder when it’s time to make that move. Try to find some people in your local HR community that “do” compensation and spend an hour or two with each to understand what works for them, what doesn’t, and what they would have liked to know if they had to start over. This is exactly what I did when I started learning human resources, and it’s still a powerful tactic today. Again, with tools like LinkedIn this makes the whole thing so much easier. When I hear from people just getting into the field, one of the first things I recommend is for them to find some trusted contacts to start building out their network. Over the years I have been able to connect with hundreds of great HR pros, and some of them have amazing specialties. For instance, one lady I coached during PHR/SPHR prep last year is a compensation and tax whiz. If I have questions on how to handle taxes for an employee, I could easily pick up the phone or shoot her an email. If I have questions about incentives and motivation, I’ll reach out to Paul. Heck, if I just need a pick me up I’ll read anything Steve Browne writes. Get the picture? We don’t have to feel like we are in this thing all alone. We also don’t have to figure out every single piece of it by ourselves without help or support. There are so many great resources and people out there that we can connect with. 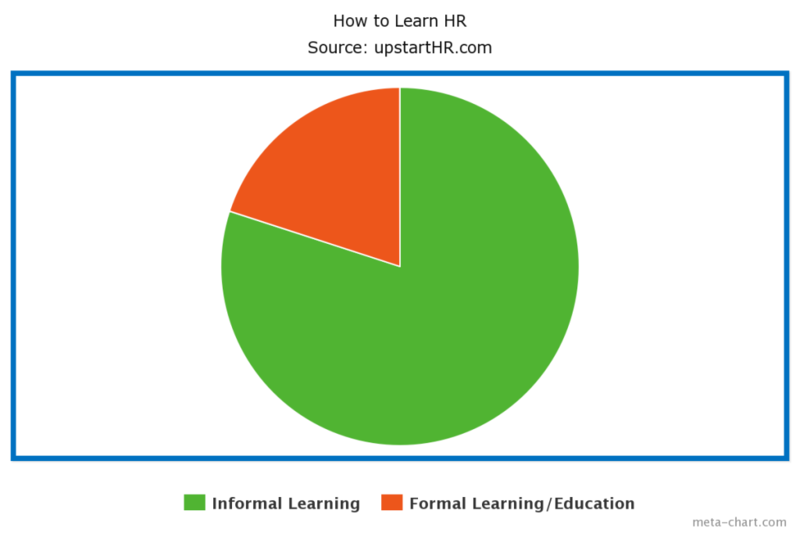 Figuring out how to learn HR is not just a solo act. While the web has helped with this and made it more easy to scale up, it has also made some of those connections more shallow. That’s why I also think it’s critical to build a local network of people as well. Within my local area I have a couple dozen HR pros I could call today if I had a question or just wanted to hash out an HR problem I’m dealing with. That took time, trust, and effort to build, but I started with just one person who took pity on me as an introvert and introduced herself to me at a SHRM chapter workshop all those years ago. I’ll always remember that first interaction. If you’re looking to build out your own network, I’d encourage you to connect with your local chapter. Being a member is helpful, but the best benefits come when you volunteer on the SHRM chapter board and really get involved. Okay, so not all blogs are worth reading. True. However, if you have curated content from someone you trust, that can help to keep the quality high and give you some good, free knowledge. This has been another key part of my learning strategy, especially in those crucial early months when I was just trying to understand how this whole thing worked. When I talk with college students about HR, I tell them that with a degree specifically in human resources they know about 20% of what they need to be successful. The rest comes from experience, additional learning sources, networking, etc. I always point them to blogs, because those were a major part of my informal education beyond college. I can still remember reading two PHENOMENAL writers, Frank Roche and Chris Ferdinandi, and I can easily trace some of the philosophies I have about how I do HR back to things I read from those two individuals. There are certainly others, but those were the first two I really ran across and latched onto as I was working on understanding HR. So, how do you find blogs? The HR Carnival is a “traveling” blog collection of some good content in the HR/recruiting space. I recently wrote one themed on Strategic HRM, and I would encourage you to check it out it if you haven’t already. Otherwise, check out the sites I link to regularly. I don’t link to low quality blogs or sites that I don’t know. Pro tip: use a tool like Feedly to double your blog reading speed. If you want to know how to learn human resources management, blogs provide a very easy way to do that. There are other options besides just reading. Here are some of the best HR podcasts you can catch. Pro tip: certified HR pros can get recertification credits for listening to HR podcasts! HR Happy Hour – I’ve been a listener of this show from the very first HR Happy Hour episode, and it has been amazing to follow. Steve Boese has really delivered some great information and entertainment for his audience. The topics for the show (employer branding, the future of HR, technology, and work/life balance, for example) are varied, but the friendly, conversational nature makes it easy for anyone to become an addicted listener. Drive Thru HR was designed to be a captivating and easy-to-digest lunch discourse that covers topics relevant to HR professionals. Each 30-minute episode features a guest speaker who shares her or his knowledge and experience in human resources. Our hosts and special guest cover a wealth of topics, including HR Technology, Recruiting, Talent Management, Leadership, Organizational Culture and Strategic HR, every day at 12:00 pm Central Time. Xenium HR for Small Business podcast focuses on HR topics of interest to all HR professionals, whether at a small business or not. Ultimate Software has a selection of podcasts on key topics of interest to HR and payroll professionals, delivered to your desktop on-demand. This series is presented by Ultimate customers and other industry thought leaders on topics that can contribute to company success. CIPD publishes a new podcast on the first Tuesday of every month. Each episode is like a short radio show, focusing on a workplace or people management topic. SuccessFactors doesn’t update their podcast any more, but there are dozens of great episodes of People Performance Radio you can still use to learn more about HR. The other medium to explore is video. I ran across a few YouTube channels that would be worth checking out for some great content to dig into. While you’re not getting 2-3 hour lectures (I’m sure you can find that if you’re really interested! ), you are getting information that will help you to learn HR and improve your knowledge. SHRM (link) I haven’t mentioned SHRM anywhere else in this article because much of what they offer is not free and is hidden behind the pay wall. However, the content on their YouTube channel is free high quality. MeetTheBossTV (link) I have followed MeetTheBoss for a while now and really like the executive viewpoints, the high quality video, and the interesting discussions. This is not all HR content, but I found over 30 minutes of HR specific, strategic discussions within a minute or two of searching. Human Resources Magazine (link) while they haven’t updated their channel in a while, I found some great content that would be worth reviewing. 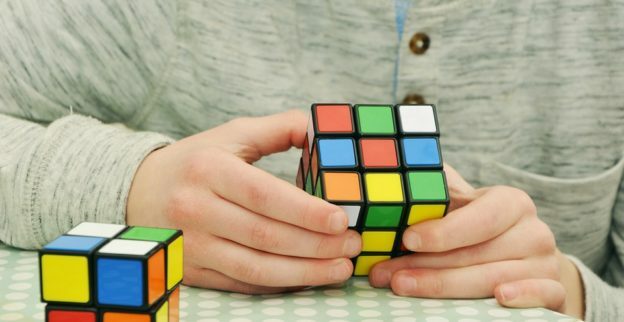 Learning HR doesn’t have to be difficult or painful! Yes, some lessons have to come with experience and a series of trial and error, but you can pick up much of the knowledge you need from these types of resources. What questions do you have about how to learn HR? What is your biggest challenge in this area? This entry was posted in General and tagged Career, Career Advice, entry level hr, entry level human resources, HR Skills, Learning and Development on February 23, 2015 by Ben. 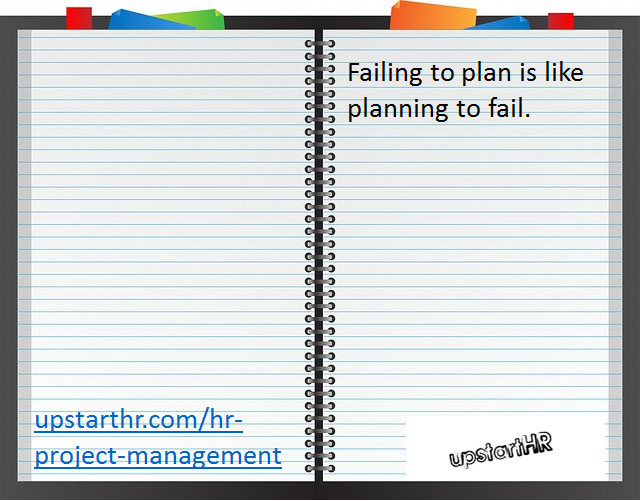 What is HR Project Management? It’s difficult for some people to do one of those well, and a good project manager can handle all of that and more. So it’s easy to see how we can use those types of skills to our advantage in a human resources role. The various projects we have to carry out (some examples of those are listed below) need good project management principles to guide them and ensure their success. The easiest way for me to understand a concept is through examples of seeing it in action, so I thought we could go through a few to explore the aspects of this competency. These are just a surface glance and not in depth, detailed project plans, but it’s still a good look at how the disciplines work together. Scenario: Benefit costs with current providers have become untenable. Management has requested evaluation of other providers to reduce costs, even if it means reducing the level of quality. Develop a set of requirements from those objectives. That set of requirements will be the foundation for your RFP (request for proposal) that you use when talking to vendors. Contact vendors with the RFP, collect bids, and make a selection based on key factors (price is key in this example). Complete transition to new provider, terminate relationship with previous vendor, and continue post-implementation activities. Scenario: Your company has been growing and is ready for a new HRIS to help maintain employee records and facilitate some of the HR processes that occur. You have gone through the selection process and are now in the final stages leading up to implementation of the system. You know that it’s critical to get this last step correct in order to hit the ground running. The program will mainly be used for HR purposes (you and one other team member), but there is a manager self service portion as well that you expect to use to reduce time spent answering questions from managerial staff. Work with the provider as soon as you have a working version to learn the ins and outs of the system. If you are doing the training for other staff instead of the provider, make sure you go through the process of using the tool like one of the other staff. For instance, log in as a manager and use the self service portion so you fully understand the capabilities. Develop a training plan for educating all pertinent staff on the operation of the system, including the need for security and compliance with data. Work with provider on a launch plan. This could include dedicated support from the provider, especially in the early days when many new users need assistance. Develop a feedback system so that users can funnel questions, requests, etc. back to you. Your company has had embedded HR generalists in business units for the past several years. Over that time it has become more costly, more difficult to maintain standards, and is a frustration for business units to have that budget “hit.” The leadership has decided to move to a more centralized model of delivering HR services and has asked you to evaluate that proposition. Begin researching the level of staff needed to meet current requirements via a shared model and compare that with existing HR headcount to determine how many will have to be reassigned/terminated. Create a draft budget that will cover running the new HR delivery model. Lay out a plan for what sort of service will be delivered best by a shared model and which might be more difficult to administer (employee relations, for example). Determine what other below-the-surface areas will be affected by this. While it will help ensure a specific standard of service, it could also make managers unhappy because they no longer have dedicated resources. These types of items will need to be incorporated into the change management communication plan to ensure they are addressed at some point of the implementation phase. Prepare a presentation with your findings and recommendations for the leadership team. As you can see, there are a variety of projects that can use these types of skills. These examples were written with you as the head of the HR team having to carry this out, but in some organizations there are actually dedicated HR project management professionals in place to handle these sorts of tasks. Let’s look at how that works. The HR Project Manager is responsible for the management of HR projects to include managing project budgets, resources (internal and/or external), timelines, risks and third party vendors. Responsible for overall direction, coordination, implementation, execution, control and completion of specific projects ensuring consistency with company strategy, commitments and goals. • Establish and maintain relationships with the business units and key partner groups to understand their business needs, ensure alignment on objectives, and ensure ongoing buy-in across all project activities. • Translate business objectives into projects with clearly defined scope, timing, deliverables, resources, and key measures of success. • Formulate and continually re-assess the appropriate project management approach and project management skill set / resourcing mix across internal and external partners to ensure all project tasks are successfully completed. • Create project plans, including timelines and milestones. • Negotiate sufficient resources from HR sub-teams, IT, Corporate Communications, business units, and other groups as appropriate. • Effectively set and communicate project expectations to team members and stakeholders. • Define project success criteria and communicate to team throughout project life cycle. • Manage and coordinate HR-related project activity resulting from business unit acquisitions. • Manage ongoing project plans, budgets, resources, and vendors. • Facilitate meetings and drive project issues through to resolution. • Develop and deliver progress reports, proposals, requirements documentation and presentations. • Proactively manage and communicate ongoing changes in project scope, identify potential crises and devise contingency plans. • Coach, mentor, motivate and lead project team members. Influence project team to take positive action and accountability for their assigned work. • Manage Requests for Proposals (RFP’s) with vendors relating to HR projects. • Identify all stakeholders, both direct and indirect, and determine level of involvement needed for project success. • Work closely with Change Management Manager and Corporate Communications to ensure appropriate change management activities are defined and included in all project plans. • Support the ongoing development of best practices and tools for HR project management and execution. • Conduct project post mortems and create recommendations in order to identify successful and unsuccessful project elements. • Ensure comprehensive and seamless project post-implementation transition. While it looks like a short list, it covers a broad and deep set of requirements, responsibilities, and more. Each of the pieces of the sample job description above fit into a piece of this five step process. Developing a project management plan means that you have taken the time to think through the steps and what resources, time, people, etc. will be necessary to accomplish each. In addition, you’ll need to think about risks to the project and what you can do to mitigate that risk. Speaking of risk, one interesting idea that my friend Alison Green has discussed in the past is the value of conducting a “pre-mortem” on a project. We are pretty much all doing “post-mortem” reviews of projects (you are, right?!?) to determine what went well, what went poorly, etc. They are great tools for helping to refine our processes over time. However, the downside is that the project is already finished, and any lessons learned can’t help to improve the results. This is basically a meeting that is held in the middle of the project where stakeholders gather to discuss what kinds of things could hamper implementation or reduce the impact of the intended results. In other words, what could go wrong? This information is then used to improve the project in real time instead of waiting until it’s over to make any sort of adjustments. Let’s take a step back for a second and look at the broader picture of the organization and what sorts of challenges that might present themselves. A specific one that I have observed in the past is the responsibility of a project manager for the results without the accompanying authority over the employees to enforce deadlines. For example, an engineer reports to the Director of Engineering, but his Project Manager needs him to focus on a specific task. Without that position power of being “the boss,” it could introduce challenges for the project lead to get things done. This could be due to performance issues on the part of the engineer, or it could be due to competing priorities from the project lead and the supervisor. This is a big reason why I am such a fan of influence and leadership skills (check out the leadership reading list if you haven’t already for more on this topic). A friend of mine is a superstar project manager. I kid him that his life is dictated by spreadsheets. However, that attention to detail allows him to run multimillion dollar projects seemingly with ease. In addition, his demeanor makes him instantly likable, which contributes to the long-term success of his projects because he can easily get along with employees, leadership, customers, and other stakeholders. I’m describing this because I know that while you won’t find “be nice” on any list of key project manager skills, I know from experience–it’s one that pays significant dividends. While I touched on the availability of these positions earlier, I think it’s important to note the career implications of this specific skill set. For starters, it’s something that HR pros need to understand, especially as they advance up the career ladder (no matter what HR job title they have). Being able to pull off successful projects is a significant career booster and can help to lead to new opportunities of increasing responsibility. I know that might be understood, but I wanted to be sure and highlight the importance of this specific career skill. 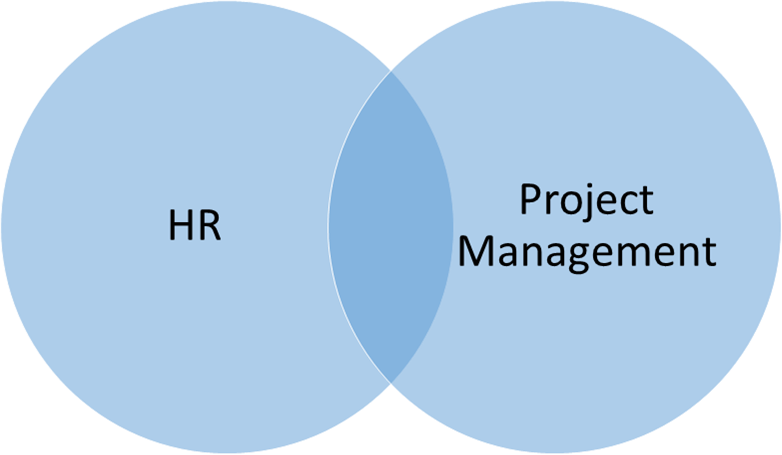 Today we looked at a fairly broad slice of the HR project management world. Without extending this to the length of a book, I do want to mention that we didn’t even talk about software or systems that can help with this type of planning. Why? Because laying software over a broken planning process doesn’t solve the problem, and in some cases it can make it even worse. What sort of HR projects have you completed in the past? Any specific HR applications of lessons learned that might be valuable to share? What are your thoughts on specific applications of HR project management? This entry was posted in General and tagged Career Advice, HR Skills, Management, Performance Management, Project Management, Talent Management, Ultimate Guide on February 9, 2015 by Ben.